On a recent weekend, I headed to a fun event hosted by Ericka Sanchez of Nibbles and Feasts to learn how to dip and drizzle treats using the Wilton Candy Melting Pot. 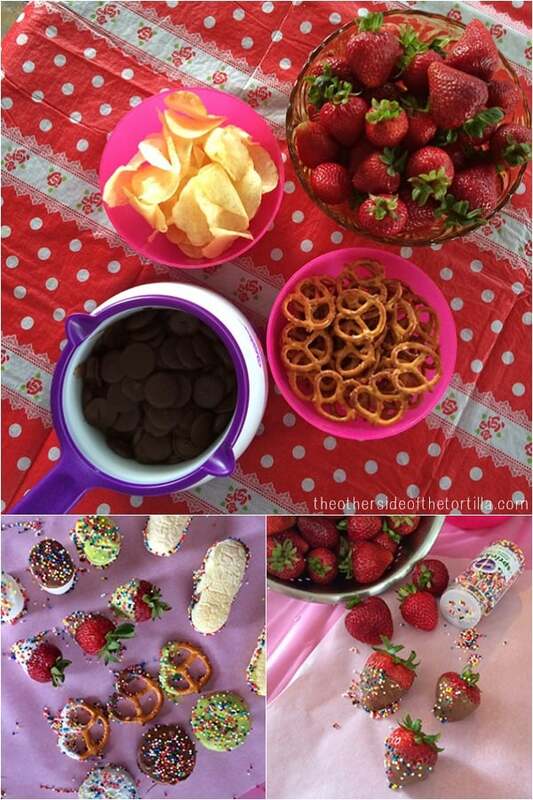 We dipped everything from strawberries to potato chips, pretzels, marshmallows and even cookies, as you can see below. As we practiced our technique for dipping and drizzling, a lightbulb went off in my head at the party—the Wilton Candy Melting Pot is the perfect tool to make the chocolate amaranth bars I love so much with very minimal cleanup! You can melt the chocolate in the pot, and once it’s ready, add the amaranth, stir, and turn it out onto a wax paper-lined jelly roll pan. All you have to do is wipe out the Candy Melting Pot’s easy-to-clean silicone pot. If you want to give this traditional treat a more modern, fun twist, you can either add rainbow nonpareil sprinkles to the chocolate and amaranth, or even try different flavored Wilton Candy Melts, such as chocolate mint or peanut butter, or fun colors such as orange, lavender or yellow! Check out all the different flavors and colors of Wilton Candy Melts to choose your favorite. Some notes about amaranth if you’re not familiar with this ancient grain, which has been used since the time of the Aztecs: Many Mexican markets sell amaranth already popped. It is a naturally protein-packed, gluten-free grain. In Los Angeles, the market where I buy it pre-popped costs $8 per pound (which is a TON of amaranth, by the way, since popped amaranth is very light). If you use amaranth often enough, you may find it more cost-effective to pop your own. About 3-4 tablespoons yields a cup of popped amaranth, and you can typically find amaranth grain sold in the bulk bins at health food stores or packaged and hanging out on shelves in 1-2 pound packages near the quinoa and specialty flours and grains. There are usually directions on the packaging on how to pop it. 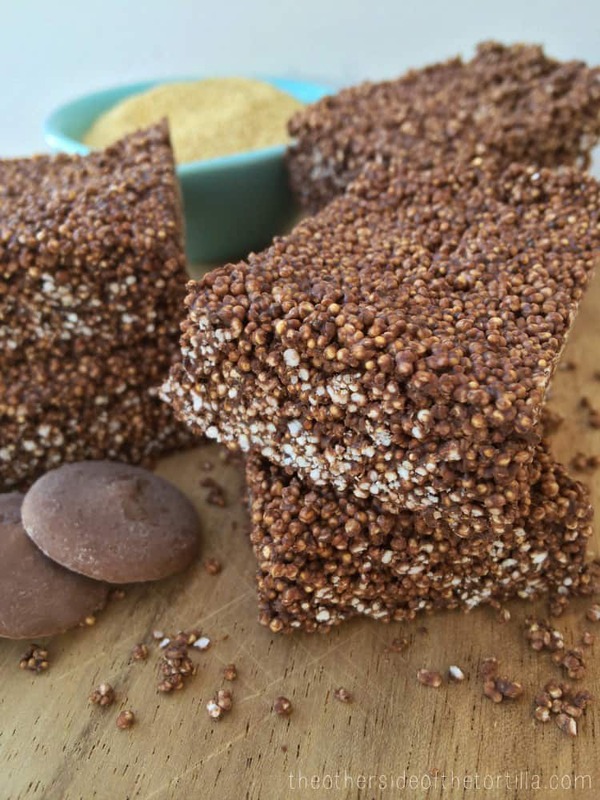 You can easily double this recipe by either making it in two (or more) batches, or by melting double the amount of chocolate and then mixing in the amaranth directly on the wax paper before spreading it out and cutting. To make circles instead of bars or squares, use a cookie cutter, a biscuit cutter or a drinking glass. A traditional Mexican candy made with popped amaranth and chocolate gets a modern method update with Wilton Candy Melts and the Wilton Candy Melting Pot. Heat the Wilton Candy Melts in a Wilton Candy Melting Pot for about 10 minutes. If you don't have a melting pot, you can also heat the Candy Melts chips in a glass bowl in the microwave for 30 seconds at a time, stirring between each interval, until completely melted. If using the Melting Pot, turn off heat at this point. Stir chocolate so it is completely smooth and then pour 1/2 cup of amaranth into the melting pot or bowl at a time, stirring to incorporate. 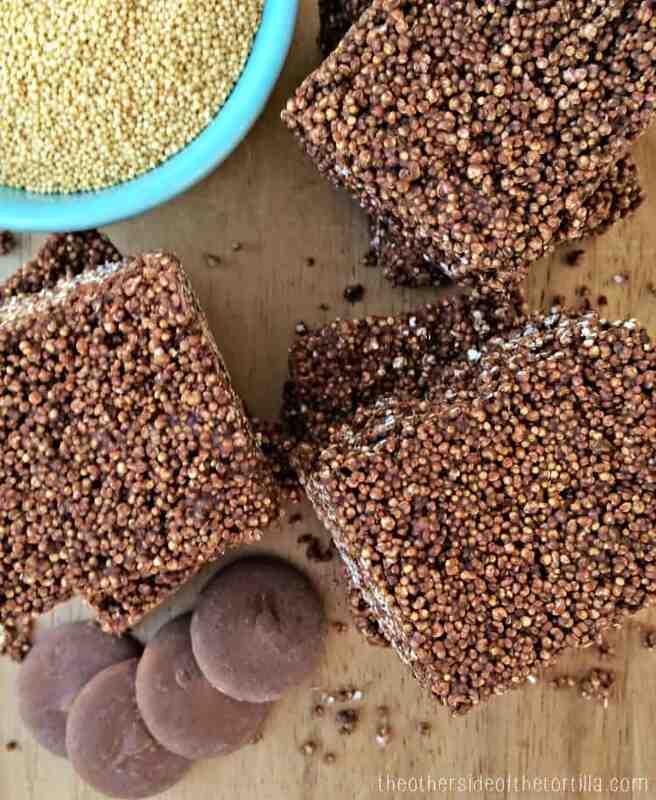 Once all amaranth is fully incorporated and coated with chocolate, set aside. Line an 8 1/2 x 10 jelly roll pan (or slightly smaller pan) with wax paper and spoon amaranth and chocolate mixture into pan. Using a piece of wax paper, press mixture into pan; it should be about a half-inch deep. It's OK if you don't use up all the space in the pan to ensure the bars are a half-inch deep. Allow the mixture to set for about 10 minutes, then use a sharp knife to cut the bars into desired portions. Separate the bars so there's a little bit of space between them so they won't stick together. Allow to set and dry completely, at least an hour. Store in an airtight container or zip top bag for up to one week. The total time for this recipe includes 1 hour of inactive prep/cook time to allow the bars to set. Both amaranth and Wilton Candy Melts are gluten-free. This look awesome. And I love Wilton Candy Melts because they are so easy to work with. Hope all is well with you Maura!